Coming back from Thanksgiving break was a struggle this week. I was one tired teacher and I had a class full of 18 pretty tired kids. That was just Monday. Their exhaustion lasted about 3 minutes. Mine lasted all week. Their exhaustion ended right when they saw a new little friend in our class. Our elf appeared! When the kids entered, he was sitting on top of my stereo on top of my desk. With him, he brought his Elf on the Shelf book and an official letter from Santa. Surprisingly enough, no one saw him! I was so excited that he was there and then no one saw him! Then, next thing I know, he is on the ground! He fell right off the stereo onto the floor and boyohboy that caught some attention! One little one ran over and began to pick him up and then realized who it was! "It's an elf! We have an elf! You guys, we have an elf on the shelf!" Immediately, there were excited, thrilled, and no longer exhausted. So, we sat down with the letter and book and after reading them both, we named our elf. I wish I would've taken a picture of the different names, but I completely forgot. I really need to get used to taking pictures for the blog. They decided on Jingle. I was pleased with the cutesy name and thankful it wasn't something completely out there! When we came back from lunch, we discovered he had moved! Sneaky little guy. He didn't move far though. He was going for a ride on our class pet, Sparky, who was snuggled in between the stereo and dvd player. The kids loved it. They just adore Sparky after each of them got to take him home this past semester. The next day, the kids ran in like wild zoo animals that escaped their cage came in to the room to find Jingle reading with all his buddies. They really got a kick out of the fact that Jingle was reading Rudolph the Red Nose Reindeer upside down. 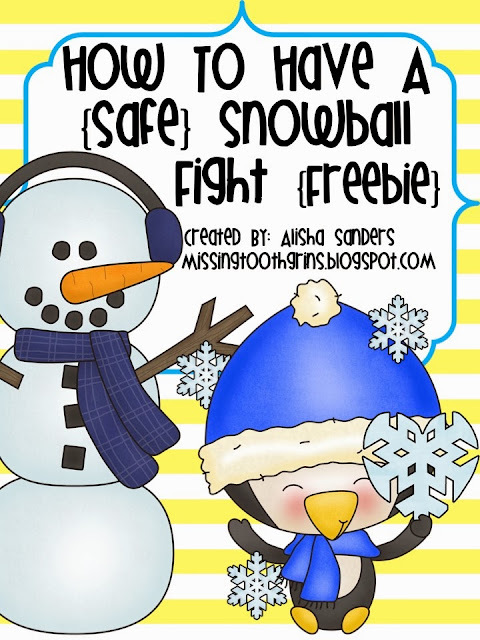 One said, "Silly Jingle, he knows how to read!" The next day was a little friend's birthday and she, along with the rest of the class, was super excited to find a surprise from Jingle on her desk. On that same day, they found Jingle had TP'd our tiny little tree! This day was a very talkative day. A VERY TALKATIVE HEADACHE KIND OF DAY. So, the next day they found Jingle in the morning with a headache. He made a bed out of our tissue box and laid in there with a tissue blanket and tissue pillow. He left a note that said, "Yesterday, all the talking gave me a headache!" I wish I had taken a picture, but unfortunately completely forgot. That morning, the kids were on their best behavior. They wrote Jingle notes saying how sorry they were for giving him a headache and all morning they kept reminding one another, "Shhh... Not too loud. Jingle doesn't feel well." Precious. They don't feel that way about me when I get a headache, but hey... I'm not an elf that reports back to Santa each night. So, after reading all those notes while the kids were at lunch, Jingle realized he no longer had a headache. He moved and the kids came in afterwards to see him reading all their letters. On the board he even wrote, "Thank you for making good choices" and left them the book, Katie the Candy Cane Fairy. They were very excited. What a good way to wrap up a Friday! 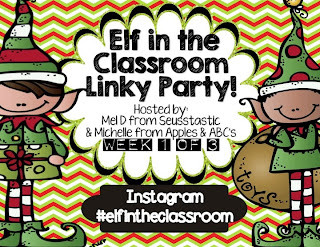 For more Elf on the Shelf fun, check out the linky party! Aw, how precious. I love that your kids wrote apology notes to Jingle. They really do love the elves, don't they? It's a little bit of 'magic' at a very tough time of year for the kids.